The development of drugs to treat major diseases of the central nervous system relies in part on the development of novel strategies to cross the blood brain barrier. Michel Khrestchatisky and Alexandre Tokay explore. The human brain is the seat of the most devastating and chronic diseases. Diseases of the NS are one of the main morbidity and mortality causes in western countries. More than 1000 pathologies and disorders concern the brain, the spinal cord and peripheral NS. Almost everyone is confronted one day with a NS syndrome (migraine, insomnia, depression, addiction…), and one person in 10 will develop a serious NS disease without any cure. These diseases, many of which are directly related to increased life expectancy (Alzheimer, Parkinson…) and / or to new life styles (brain tumours, AIDS, brain and spinal cord trauma, viral, bacterial, parasite infections, prion diseases…), have an incidence and a socio-economical cost that increases at an alarming rate. The World Health Organisation (WHO) estimated that common devastating conditions affect over 450 million people globally, causing substantial disability and suffering. For the WHO, the burden of brain disorders constitutes 35 to 38% of the total burden of all diseases (data based on DALYs: disability adjusted life years), compared to 12.7% for cancer and 11.8% for cardiovascular diseases. An extensive study in Europe indicates that in 28 European countries with a population of 466 million, 127 million are affected by at least one brain disorder. The total annual cost of brain disorders in Europe was estimated to €386 billion in 2004, but this estimation is considered conservative: the true economic cost of brain disorders in Europe is more likely in the range of €500-700 billion/year (Andlin-Sobocki et al., Eur. J. Neurol., 2005). The global pharmaceutical market was estimated $712 billion worldwide in 2007, according to IMS Health, with an annual growth rate (AGR) of 6.4% and was forecast to grow to $929 billion in 2012, an equivalent compound annual growth rate (CAGR) of 5.5% over the next five years. NS disease treatments, though exclusively palliative, already represent one of the three main therapeutic areas worldwide, expected to reach $108.3 billion in 2017 according to Jain PharmaBiotech Report (2008), close to cardiovascular diseases and oncology. In 2006, the sales for NS pathologies showed a solid growth with an annual rate of 7%, compared with 5% for the global drug market. The number of people in the world over 65 increases sharply (the incidence of many CNS disorders increases exponentially after age 65). This explains why the growth rate of NS drugs will continue increasing in the future. The vascular system of the brain is extremely dense and ramified, with vessels totalling close to 400 miles in length and approximately 20m2 of surface in a human brain. This brain vascular system is endowed with very specific characteristics that efficiently protect the brain from toxic molecules, viral and bacterial infections and that very efficiently control the passage of molecules from the blood to the nervous tissue. This vascular system is called the blood brain barrier (BBB), and, unfortunately for patients with serious brain diseases, and for the pharmaceutical industry, it also impedes the passage of most drugs. Of the more than 7,000 molecules in the Comprehensive Medicinal Chemistry (CMC) database, it is estimated that only 1-2% cross the BBB (Pardridge, Molecular Interventions, 2003). On average, drugs developed for central nervous system (CNS, brain and spinal cord) diseases take longer to develop than those for other therapeutic areas. CNS drug development has the highest attrition rate: more than 90% of the molecules developed by the Pharmaceutical Industry for treating CNS diseases are abandoned in Clinical Phases I or II, after costly developments, due notably to poor access to the nervous tissue. The small CNS molecules that made it to the market in the last decades have addressed mainly migraine, insomnia, affective disorders, pain, and epilepsy. Many other diseases, including brain tumours, stroke and the most devastating neurodegenerative diseases such as Alzheimer’s and Parkinson’s diseases, amyotrophic lateral sclerosis, Huntington’s disease, and multiple sclerosis are still waiting for a cure or for treatments that could at least significantly delay disease progression. The same holds true for some viral infections such as human immunodeficiency virus (HIV) that causes AIDS: while the antiviral therapies are now efficient outside the brain, they do not cross the BBB to challenge the viruses that have made their way into the brain. The BBB is also a major rate-limiting problem in numerous genetic disorders such as lysosomal storage diseases that seriously affect new-borns and children in the periphery and CNS. Research in neuroscience in the last 20 years has allowed substantial progress in our understanding of some of the above-mentioned diseases but many of the envisioned therapeutic strategies are based on biomolecules, large-molecule biotechnology products, including recombinant proteins (enzyme replacement therapies, monoclonal antibodies (mAbs)), siRNAs, oligonucleotide antisense or gene therapeutics, all of which do not cross the BBB. Surprisingly, most CNS drug developers still invest minimal efforts in technological developments to improve and rationalise CNS drug delivery across the BBB, which remains a major bottleneck. Besides the development of small lipophilic or cationic molecules, the traditional approaches to enhance drug penetration in the CNS include transient BBB opening and transcranial delivery, none of which can be used in large cohorts of patients. There is thus an urge for new strategies for CNS drug delivery and targeting to improve existing drugs and to bring new drugs to the market. Drug targeting and delivery for the treatment of CNS diseases represents major challenges for the Pharmaceutical Industry in the coming years. Fortunately, it appears that physiological transport or receptor systems of the BBB can be used to safely and efficiently deliver drugs, including large molecules and biomolecules to the brain. Such receptors normally carry very selectively protein or macromolecular complexes across the BBB depending on the needs of the nervous tissue. A few small biotechnology companies worldwide focus their R&D efforts on the development of vectors that target such receptors in order to use them to usher vector-associated drugs across the BBB into the nervous tissue via a process known as receptor mediated transport (RMT). Among these companies are Angiochem and biOasis (Canada), ArmaGen Technologies and Raptor Pharmaceuticals (USA), Vect-Horus (France), to-BBB (Netherlands) and Capsulution (Germany), the latter two being more oriented towards liposomes / nanoparticles. The interest of major pharmaceutical companies for RMT based drug delivery to the CNS is gaining momentum: to-BBB has recently signed partnerships with a number of major pharmaceutical companies; in December 2010, Angiochem licensed to Geron Corp. for $37 million upfront, a vectorised form of Paclitaxel (Angiopep-2 peptide conjugated to Paclitaxel) to treat brain tumours, and signed in February 2012 a deal with GSK for $300 million including $30 million upfront to address lysosomal storage diseases; in November 2012, ArmaGen was seeded $17 million by Boehringer Ingelheim, Shire and Takeda and in 2012, biOasis signed deals with Abbott, MedImmune and UCB. In a CNS drug market valued at $119 billion worldwide (2009 figures) which should soon achieve $150 billion in 2015 (BCC Research, 2011), the delivery market as a whole corresponds to 10-15% and was expected to reach $16 billion in 2012, and $25.5 billion in 2017 (Jain, PharmaBiotech Report, 2008). Concerning the CNS drug delivery via RMT and focused BBB technology, the first deals have been signed as mentioned above and a solid growth is expected in the coming years. According to BCC Research (2011), the 5 to 10 companies that comprise BBB technology could in some form capture 5% of the CNS drug revenue within 5 to 10 years. Such a capture could equate to $5.9 billion within 10 years, which again is not reflective of potential as much as it is a conservative estimate. Michel Khrestchatisky has aPhD in Cellular and Molecular Biology (University of Aix-Marseille, France), specialised in Neurobiology; 4 years of research at the University of California, Los Angeles; 10 years’ experience in team management at INSERM, Paris. Director of the neuroscience UMR 7259 laboratory of CNRS-Aix Marseille University (www.nicn.fr) for the last 12 years, in charge of the BBB and Neuroinflammation Team, co-founder and scientific counsel of Vect-Horus (www.vect-horus.com). Alexandre Tokay, IEP Paris; Masters in Economic Sciences (University of Paris 2 – Assas); Executive Program Certificate (The Wharton School) and Member of SFAF; he was a European Equities Managing Director with ING (France) and has 25 years experience with many investment banks. His management skills and competence in sectorial financial analysis led to his involvement in pharmaceutical laboratories and biotechnology companies. Co-founder of Vect-Horus (www.vect-horus.com). 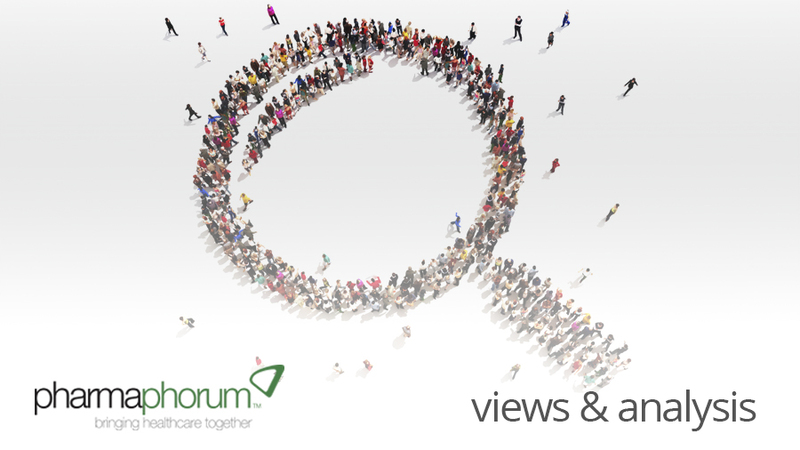 Closing thought: What developments do you expect to see in the CNS drug market?